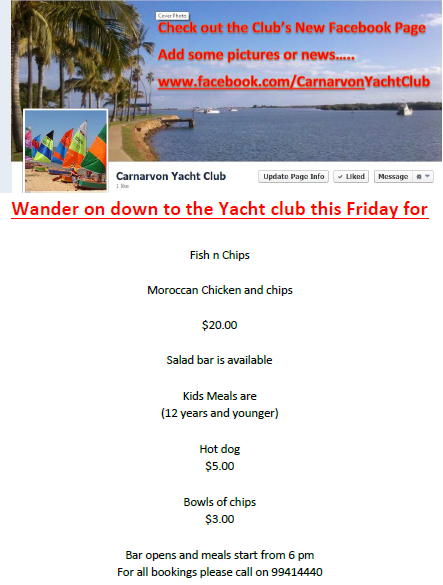 ← This Friday at the Yacht Club! Check out the Yacht Club’s new Facebook Page! Dinner is on Friday nights from 1800!